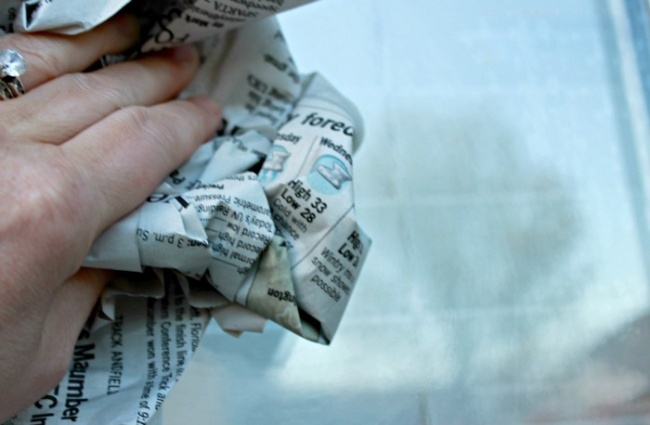 On average, we spend nearly 40 minutes a day cleaning our homes. 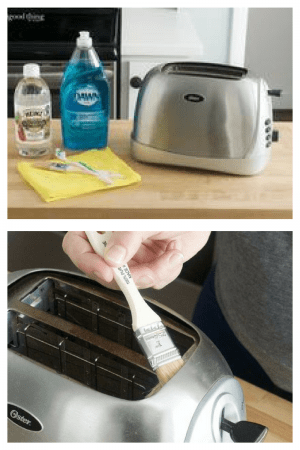 And, with the exception of those who truly find dusting their baseboards and scrubbing their ovens akin to bliss, most people are likely eager to use that time for more enjoyable activities. 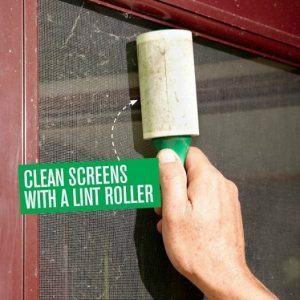 Here is a compilation of some interesting and unique house cleaning tips that could make your life easier. 1. 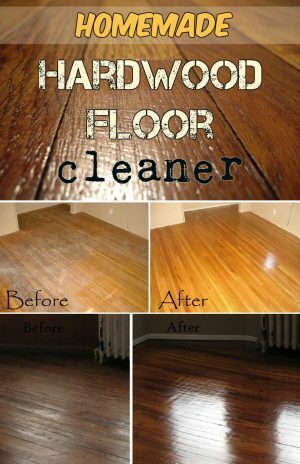 Use Homemade Hardwood Floor Cleaner For Sparkling Floors. 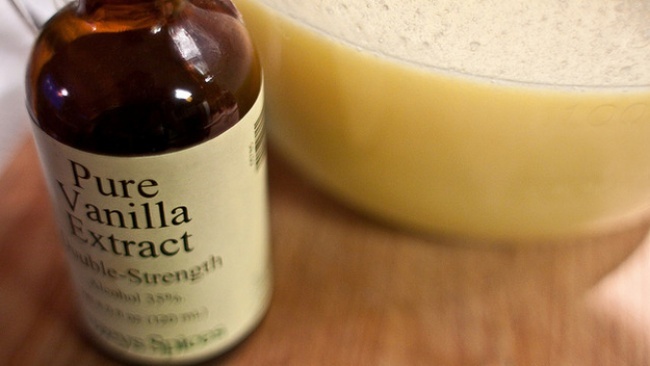 Take your hardwood floors from dull to “oh la la!” with this homemade hardwood floor cleaner. 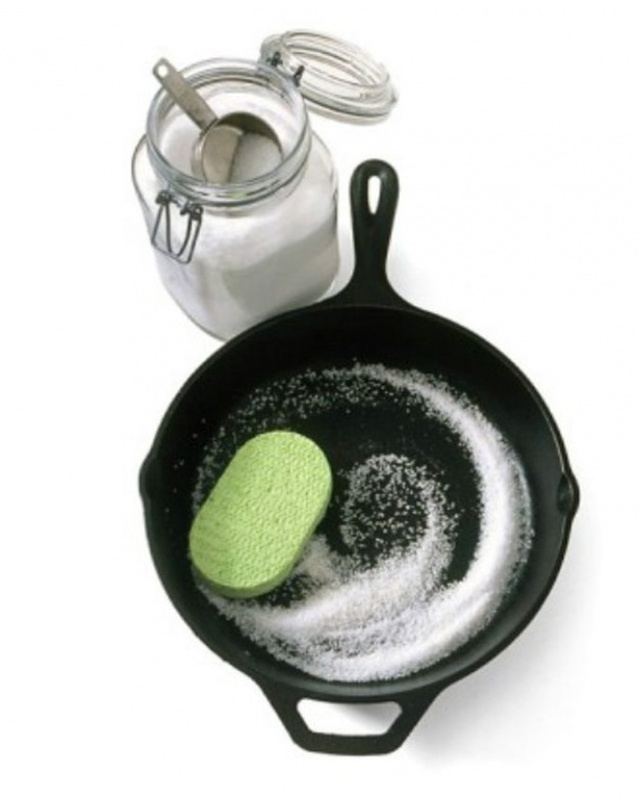 This eco-friendly cleaner is made with a few cups of vinegar, castile soap as well as a few other ingredients. 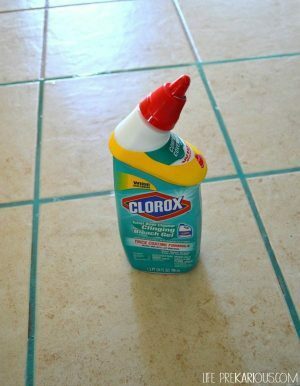 Mix them all together and you will get these beautiful shining floors. 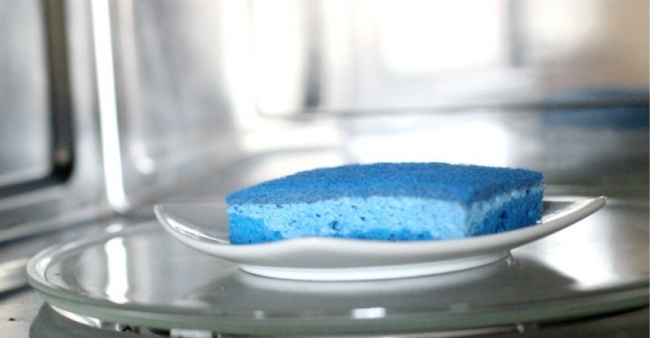 If you are looking for an easier, scrub-free way to clean your microwave then this is it. 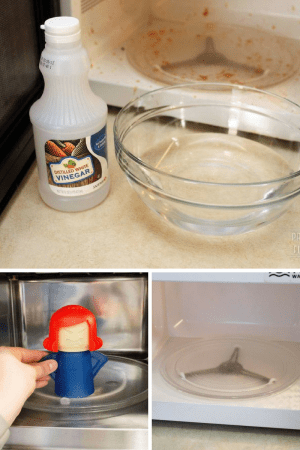 You can use a vinegar and water solution in a microwave safe bowl to steam clean your microwave or you can purchase an Angry Mama which will conveniently help steam away hardened food and other microwave junk in seconds. 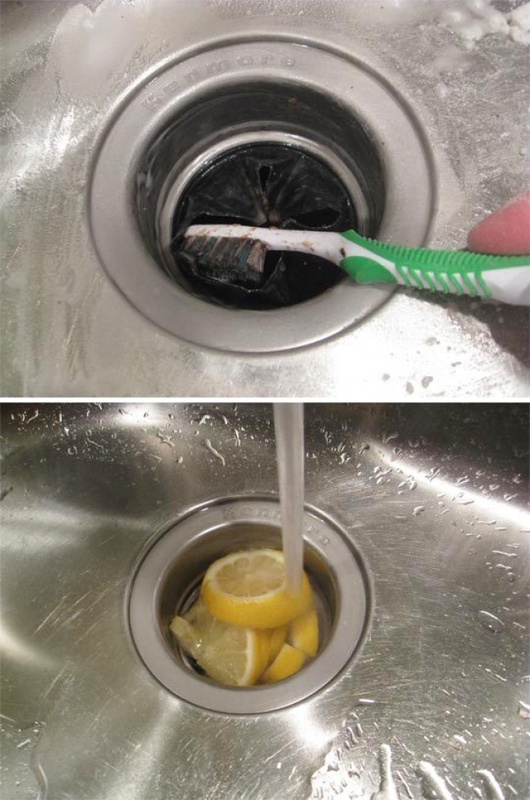 Funny smell coming from your garbage disposal? 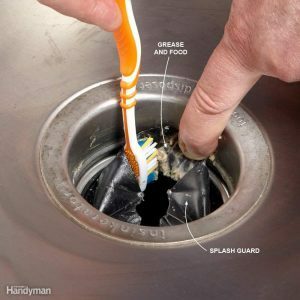 Try lifting up the splash guard of your disposer to expose all the leftover food crud and use a toothbrush to brush away the grime. Tip and photo courtesy of Family Handyman. 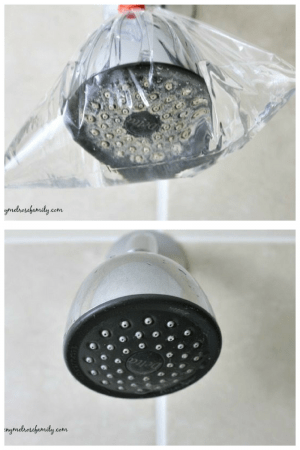 You probably clean your toilet on a regular basis, but how often do you clean the toilet siphons? Trust me; it’s time. You’ll have to start by turning off the water to your toilet and flushing to empty out the remaining water in the bowl. 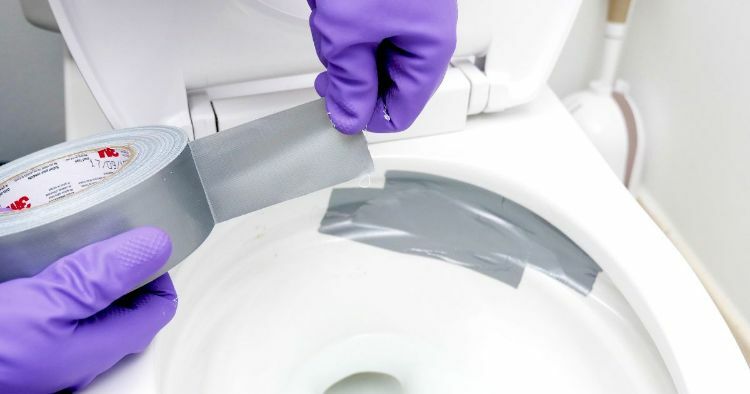 Then cover all of your toilet siphons with duct tape and make sure it’s on tightly. 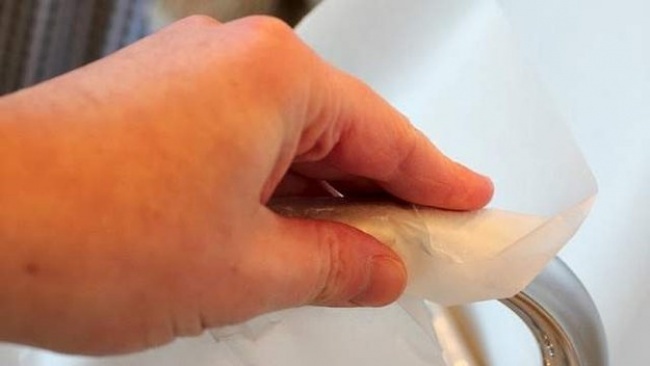 Pour vinegar into the toilet tank and flush, which will cause the vinegar to get trapped in the siphons. Let this sit overnight and in the morning, remove the duct tape and turn the water back on. 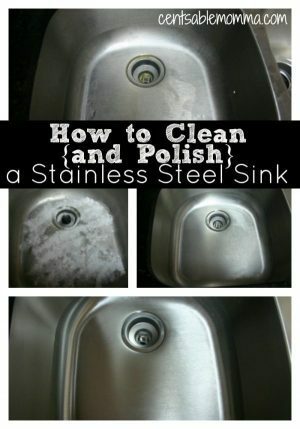 Different types of sinks require different types of cleaning. 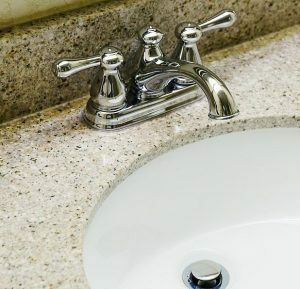 For porcelain sinks, start by sprinkling a fine layer of baking soda into the sink and scrubbing over it with a sponge. 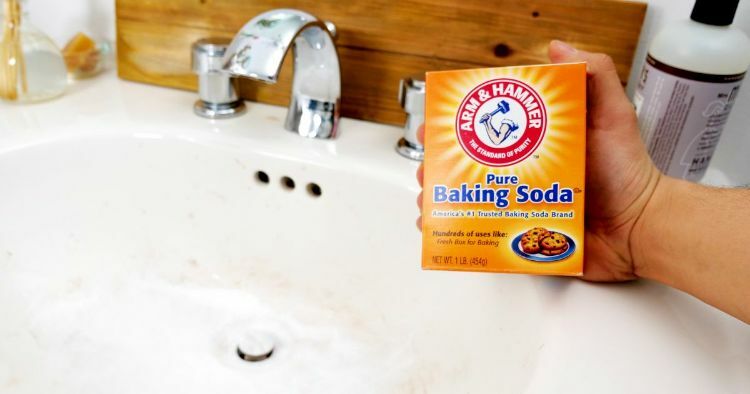 After you’ve worked in the soda, pour a little hydrogen peroxide onto the sponge and scrub more. Let it sit for about 20 minutes and then rinse everything down the drain. 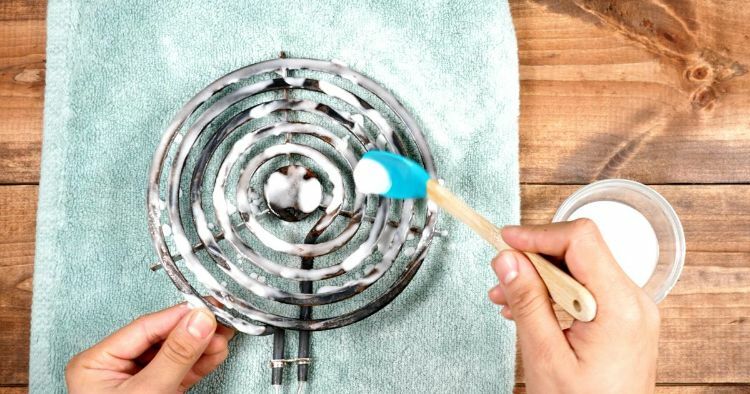 Since you can’t remove the burners from a glass cooktop, it requires a different method of cleaning, but the same ingredients. 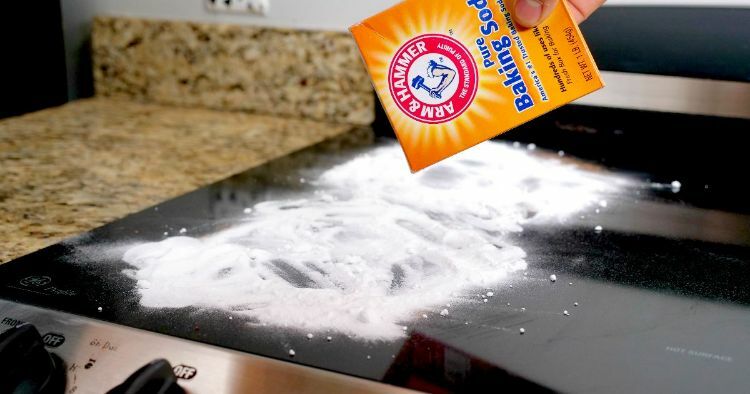 Submerge a rag into hot, soapy water and let it soak while you spread a thick layer of baking soda over the cooktop. 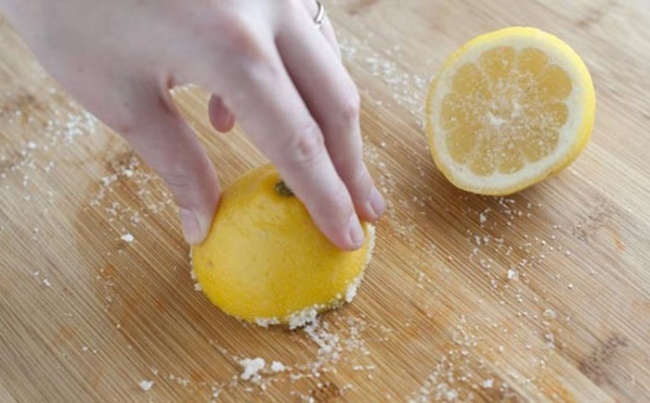 Take out the soapy rag and squeeze out half the water before laying it over the baking soda. 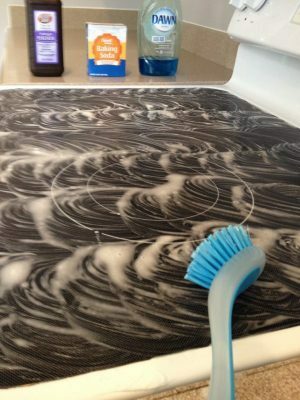 Leave it for 15 minutes and then use the rag to scrub over the baking soda. 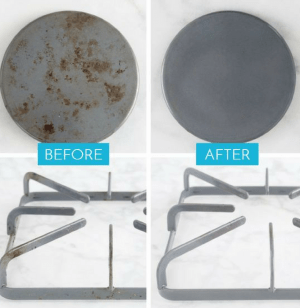 Finish by drying the cooktop with a clean, dry cloth. 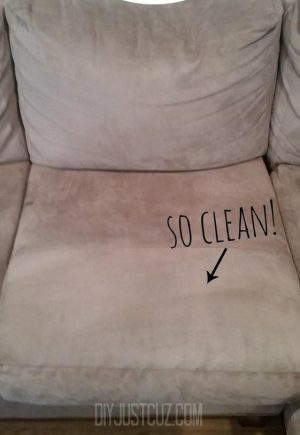 With the exception of leather ones, most couches can be cleaned the same way. 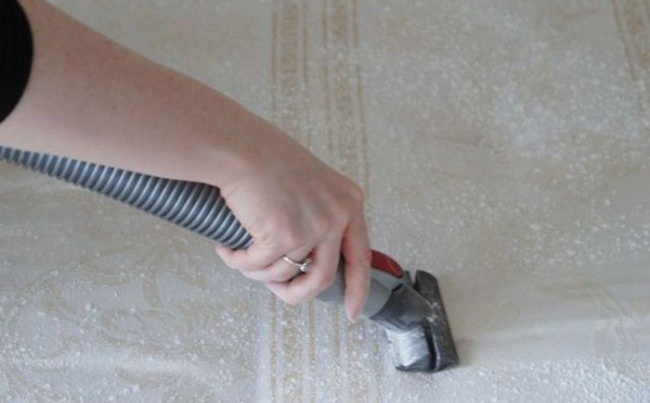 Start by brushing over the fabric with a stiff brush and then sprinkle on a layer of baking soda, which you’ll leave for at least 20 minutes before you vacuum over it with the brush attachment. 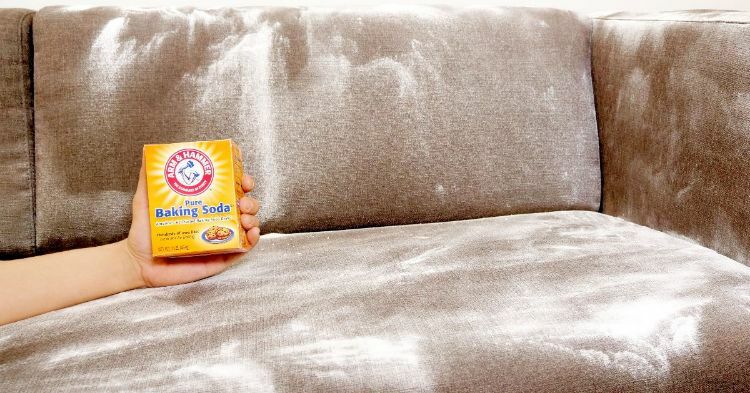 Use your favorite brand of cleaner (or make your own) to scrub over any stains and then allow the couch to dry. 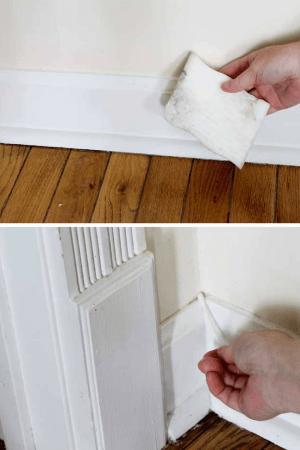 Brooms and dustpans can get really gross after a few uses, but most people just stick them back in the closet until they’re needed again. 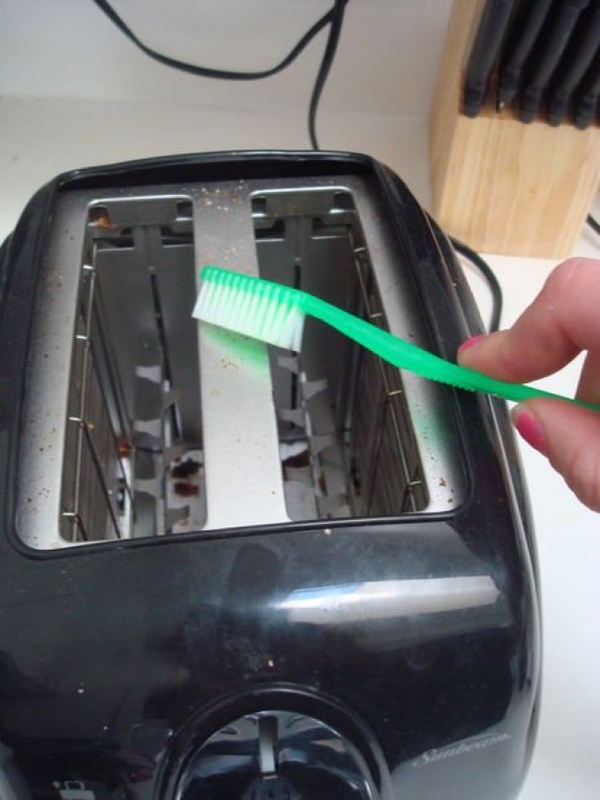 Doing this just spreads dirt and germs, though. 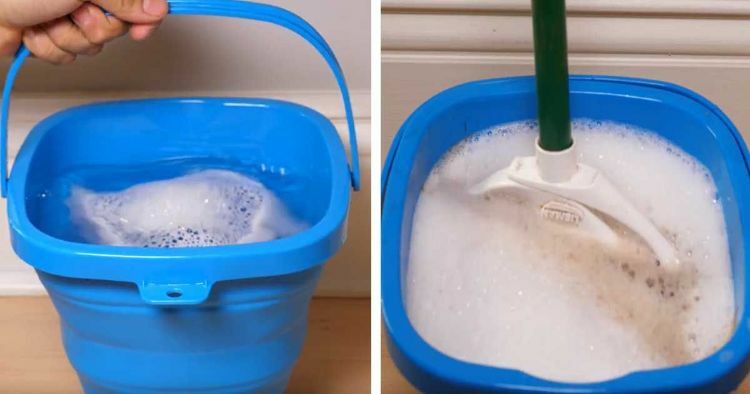 Next time you finish sweeping, soak your broom for an hour in a bucket of warm water and dish soap. Let it air dry and then put it away. 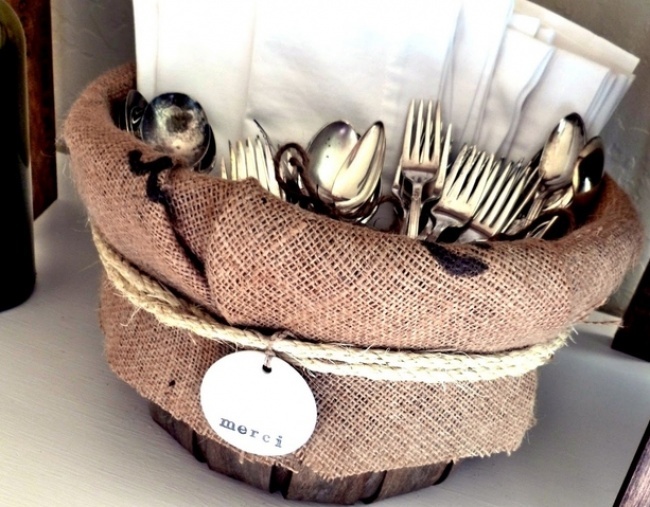 For your dustpan, spray it with disinfectant after each use. 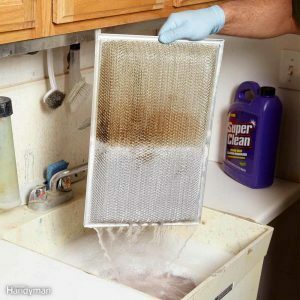 Most people probably have their area rugs professionally cleaned, but the cost of that can quickly add up. 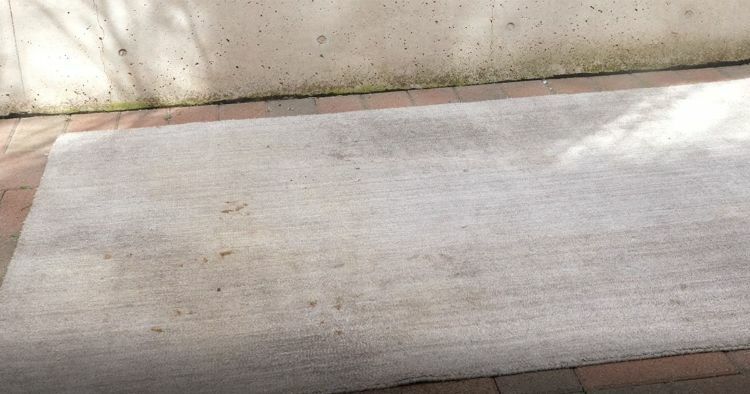 Next time you notice a stain or two on your rug, try this method: Lay out the rug on a flat, cement surface (like your driveway) and spray it down with a hose until it’s completely saturated. 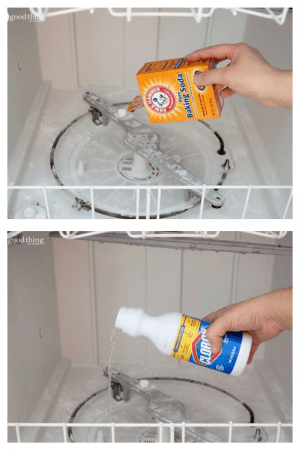 Pour a small amount on laundry detergent all over the rug, especially on any stains. 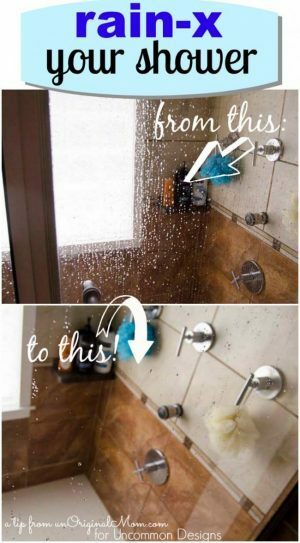 Spray the hose over it again and then brush it out with a large bristle brush. 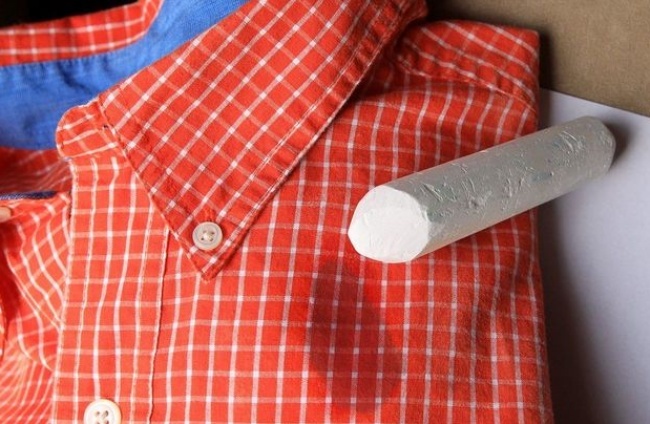 Let it sit in the sun for a couple hours before using the hose again to remove all remaining detergent. 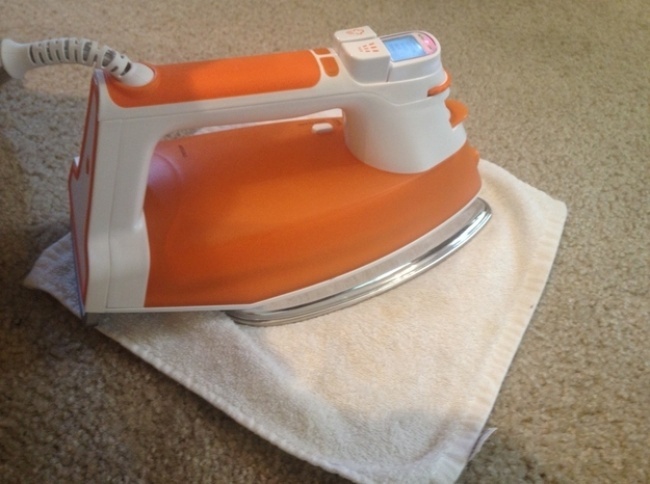 Roll the rug tightly to squeeze out the rest of the water and then stand it up to dry. 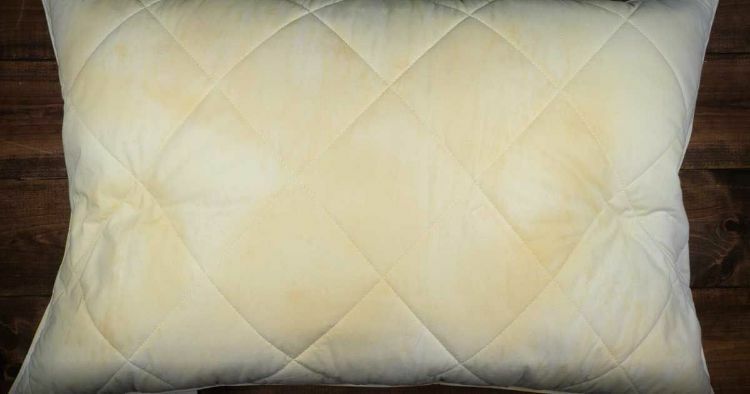 While most people wash their pillowcases often enough, how many times have you washed your pillows? It’s pretty easy, so don’t hesitate to try it. 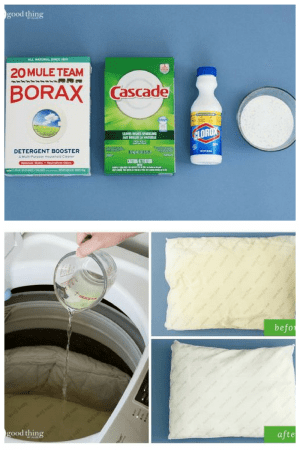 Put two pillows into the washing machine and wash them on hot with an extra rinse cycle. 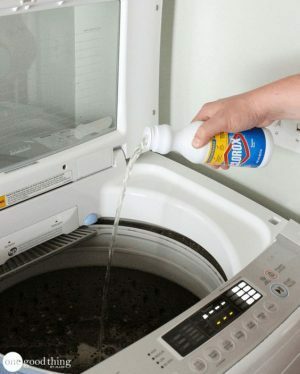 Use your regular detergent along with 1 cup of bleach. 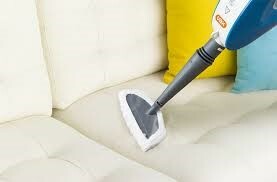 When you dry the pillows, toss a couple clean tennis balls in with them to help re-fluff the pillows. 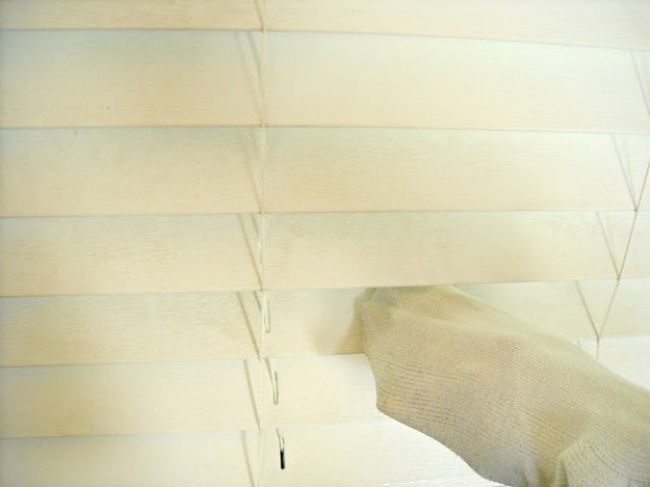 Curtains and upholstery may appear clean to the naked eye, but often times trap dust mites and even bacteria. 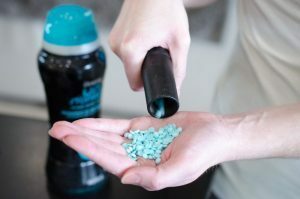 Use the vacuum to clean them frequently. 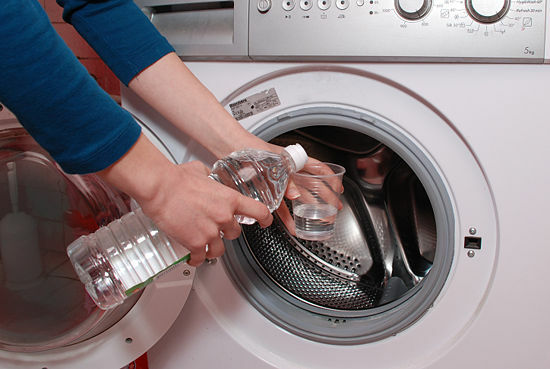 If your clothes smell less than fresh even after washing them, it may be time to clean the washing machine. 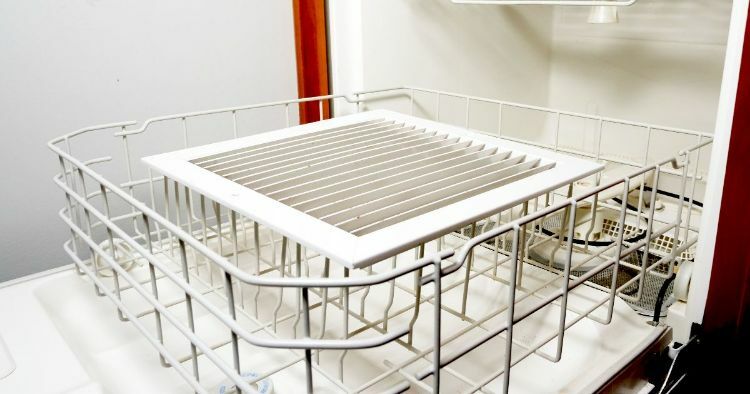 Molds can develop in the machine after multiple usage, clean this with a mix of white vinegar and baking soda through the hot cycle available. 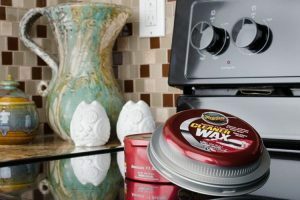 Leftover food debris and bacteria formed in the trash can cause for a lingering smell in your kitchen even after being disposed of. 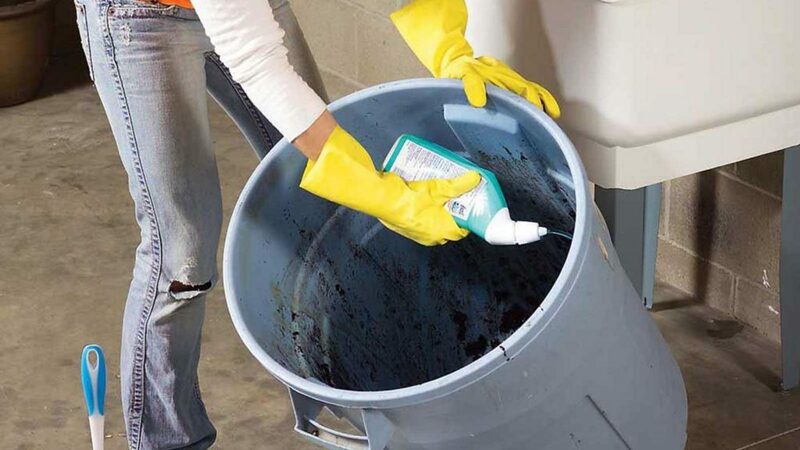 Hose the trash can, and spray with a disinfectant and air-freshening product. 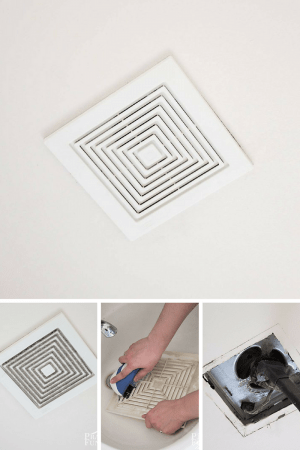 Often when cleaning we forget to look up, which means all the light fixtures (and light bulbs), ceiling fans, skylights, and high-ceiling corners are the perfect locations for cobwebs, dust, and unfortunately, dead bugs. 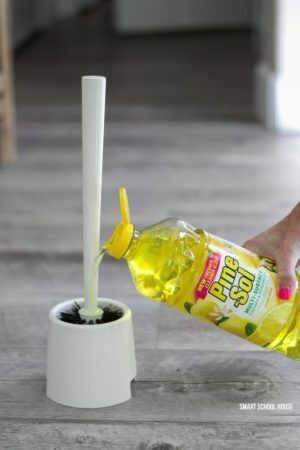 Grab a stepladder, some all-purpose cleaner, and a sponge and get to work. If your vacuum cleaner can reach up high, use a soft nozzle attachment; otherwise, think about investing in some extended-reach cleaning tools. Make sure to give your light fixtures and skylights a final polish to make them shine. 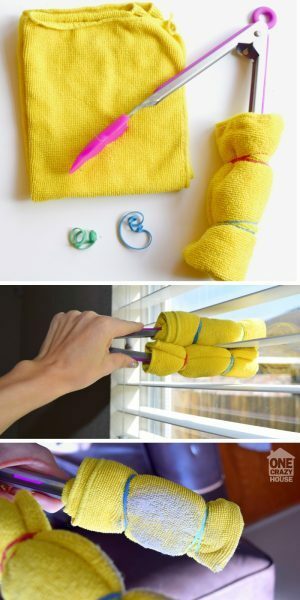 Your home will automatically seem brighter. The best days to wash your windows are on gloomy, overcast days. 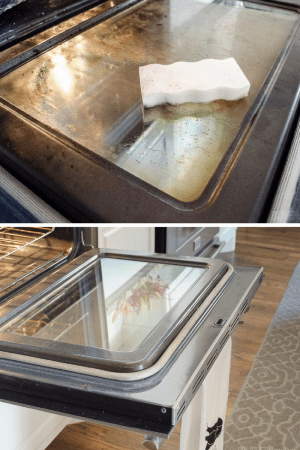 It is much harder to see the streaks when the sun is shining, and the sun also makes cleaning solution evaporate too quickly. 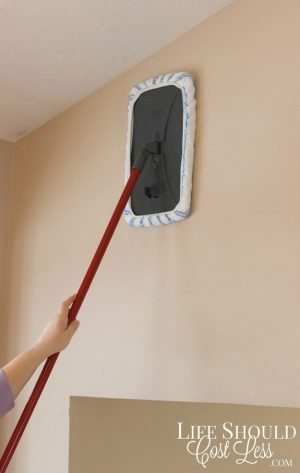 When you’re cleaning your windows, start by washing off the dirt and then wet a squeegee and move it downwards from the top of the window. 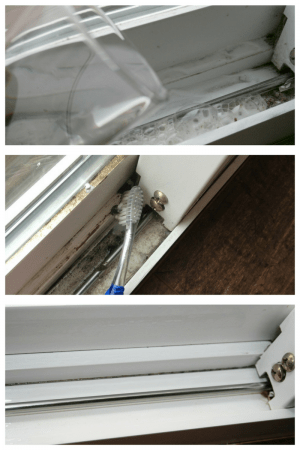 Using a squeegee is easy and makes for a more spotless clean. 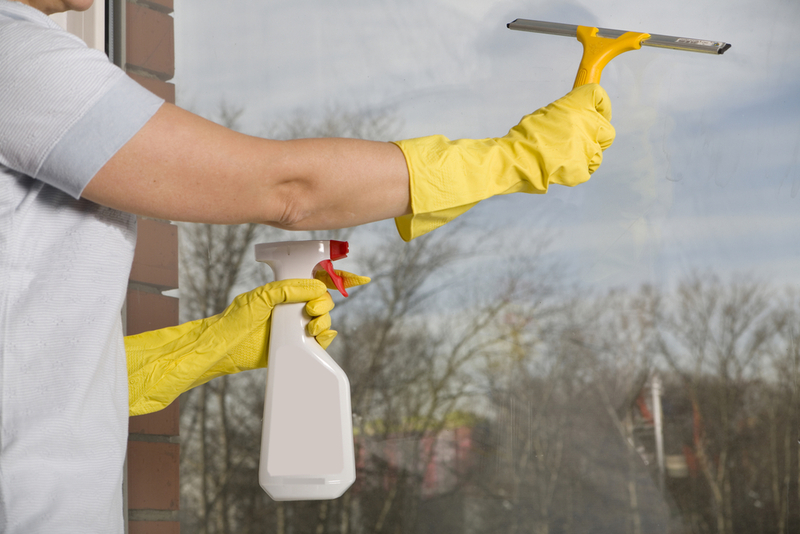 Dry your windowsills with a clean cloth and wipe down any blinds to finish the job. Dust and dirt are collected throughout the day from furniture and people walking in the house. 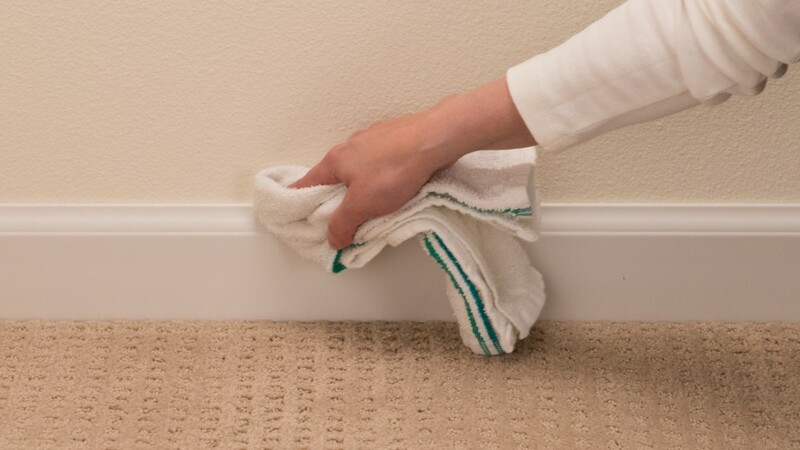 Clean baseboards by vacuuming, running a damp cloth along the surface or using household cleaning wipes. 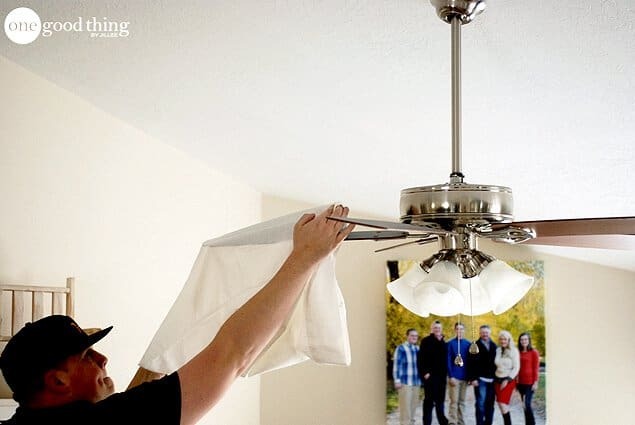 During the days your ceiling fan is not running, thick layers of dust can be collected on the fan blades. 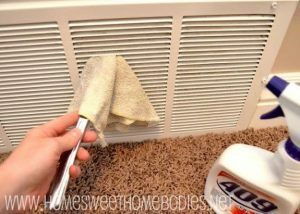 The easiest way to remove the dust is by putting a pillowcase over the blades. If you are interested in Exterior Building Washing or Exterior House or Condo Pressure Washing please contact us at 781-447-0022.